Many small businesses see content marketing as something that you can only be successful with if you are a huge company with a big budget. I was in the same boat for a long time, but after much research, many (many) failed attempts, and a lot of perseverance, I’ve finally started to see some predictability in how to get results from content marketing. Nothing illustrates this better than a project we managed for a travel company that was inspired by the finale to the fifth season of the television series Game of Thrones. Coverage in The Washington Post, Business Insider, Mashable, Yahoo, Bored Panda and other top-tier publications. Before I get into the nitty gritty of the exact process we went through to gain these results, I want to highlight the turning point for me when I truly believed I could make a content marketing approach work. My epiphany came courtesy of Ryan Holiday, who helped me realize there were hundreds of hugely powerful media sites out there desperate for content. Our job, then, is simple: Find something newsworthy and create great content around it. The very first thing you have to come up with is an idea good enough to gain some traction. Don’t think this needs to be directly connected to your (or your client’s) brand. Even a loose connection is sufficient, as you’ll gain the links and brand mentions when you are referenced as the source of the content. Obviously a closer connection to your offering is better, but if you wait around until you found something sufficiently linked to your product/service in the news, then you might be waiting a long time. For our example, the company focused on Moroccan holidays since Morocco was used as a filming location in Game of Thrones. I find the best way to get ideas is by surfing the web, particularly the bigger news and entertainment websites (e.g., Mashable, Buzzfeed, Bored Panda etc). is also an excellent tool for finding similar kinds of successful content in your niche. Once you have an idea, the next job is to find the people you will target with your outreach when the content is ready. It’s crucial to do this before you create the content, as this process may highlight particular elements your targets are receptive to, which you can then incorporate to make it more appealing to them. For example, you may find that some publications enjoy featuring maps, while others prefer stats and surveys. The key is to find specific people who have written about something similar to your topic before. We sifted through hundreds of sites to find the specific journalists and writers who had written pieces around Game of Thrones so we knew they had an interest in it and were more likely to be receptive when it came to the outreach process. Another way to do this is to find a similar piece of content that has been successful and has gained a lot of coverage, then use a tool like to examine which websites and authors have linked to it. 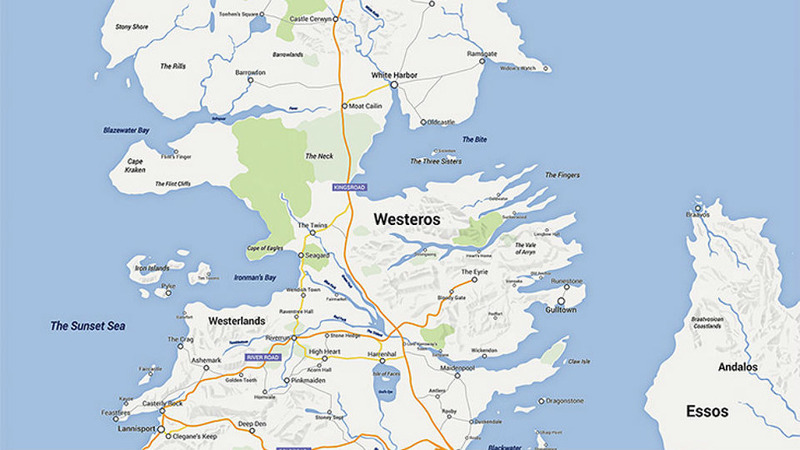 We found of Westeros, for example, which we used to mine potential targets for outreach. The golden nugget in this kind of scenario is identifying the sites which other sites use as as sources for their information. If you can get your content featured in those places, it is almost a guarantee that you will see it republished on a variety of other powerful sites. For example, Business Insider articles are republished on Yahoo, and we’ve found that a story will often get picked up in a lot of places if you can seed it there originally. Therefore, offering your content as an exclusive to those kinds of sites can be a great approach to follow. One possible addition at this stage, depending on the kind of content you’re producing, would be to send an initial feeler email to one or two of your key targets to gauge their interest in the piece. (Hat tip to Brian Dean of for this tip.) This can be a great way of getting on your target's radar without being pushy. "Hi John: We’re currently putting together a comprehensive map which features every single Game of Thrones filming location. Obviously, excitement is at fever pitch ahead of the season finale next week. I saw you’d covered GOT earlier this year, so I thought I’d see if it was something you’d be interested in featuring? If so, let me know, and I’ll send it over when it’s ready to go." Be sure to let them know why it’s newsworthy and why it’s relevant to them. If you receive a reply, that’s great. 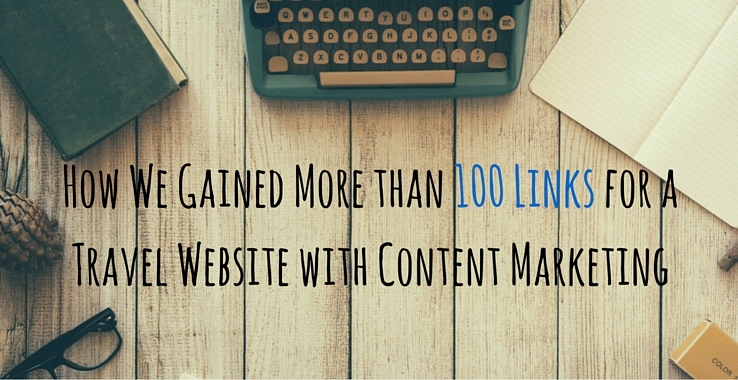 But the real goal is to create familiarity for when your content is ready for sharing. Once you have a great idea and have identified the people you are going to target with outreach, it’s now time to produce your content. You don’t need to have huge budgets to create great-looking graphics and interesting images. Websites like and are fantastic resources for finding freelancers who do great work. It simply takes a bit of initial time to sift through and separate the wheat from the chaff. Once that’s done, give the freelancers a detailed brief and tell them exactly what you want. There are a wide variety of different types of content you could create in this way, including infographics, maps, charts, graphs, slideshows, interactive graphics, and videos. If your idea is interesting and newsworthy enough, then packaging it up in any one of these formats should give you a great opportunity to gain coverage. Another useful point to consider, in this stage and the "ideas" one, is that the wider the audience you can cover with your content, the more likely you are to get it featured in lots of places. If your content is relevant to people in the US, UK, and around the world, then any site on the Internet may write about it. Limit it to a study about the UK and US, though, and sites are unlikely to pick it up. Fortunately, pretty much everyone on the globe now loves Game of Thrones. Given that our idea centered on filming locations in Game of Thrones, it made sense to structure the content in a map format. We added in some nice images of each place and gave it a GOT feel and we were good to go! Once your content is ready to go, contact your outreach targets and tell them about the content. Provide a concise summary of what you have and why it's valuable to them. The key here is to offer it as an exclusive feature for that site before reaching out to anyone else. If the writer sees an opportunity to win those clicks before any other site features it, then they're more likely to pounce on your offer. If they aren’t interested and don’t reply, though, move on until you find one or more takers. Remember, you only need one solid placement to be successful. Immediately after getting our content featured, we begin the process of promoting it. The more we help the post perform well, the more likely it is that other people will pick it up. Do everything you can to get more visibility for that post: Share it on your social networks, , add it to a relevant sub-reddit on Reddit, ask friends to share it, etc. Boost the post with ads on Facebook and Twitter to enhance its visibility and give it the best possible chance of getting as much social proof as possible. It may seem counter-intuitive to spend money promoting someone else’s site, but the benefit you’ll get from the additional social proof will be well worth it. Another benefit of this is that many of these sites promote the most popular content they publish to their homepage feeds. If you can get enough early buzz around your piece, then it will only enhance its visibility further by pushing it onto the homepage. Once you have your exclusive feature in place, the next action is to publish it on your own site. When you add it to your site, ensure that you add plenty of additional information to it. Make sure that your enhanced version is better than the original piece of content. So, you’ve got your first piece of exclusive content placed, promoted it like crazy so that it has irresistible social signals, and published an enhanced (i.e., new) version of it on your site. Now it’s time for the second wave of outreach. Return to your list of highly relevant targets and start contacting them. The only difference this time is that you are not offering exclusive content. Instead, you are pointing them to the exclusive and highlighting how much people are loving it — and how much success (and clicks) they could have a share of if they published the content on their own site. "Hi Joan: In collaboration with Lawrence of Morocco, we've created a map featuring every real life location used through the series Game of Thrones that I thought you might like. Would you be interested in featuring it on Bored Panda? Obviously, anticipation and interest is building around the upcoming finale of Season 5, as well as their recent announcements about locations for Season 6, so it's a bit of a hot topic at the moment. Plus, everyone loves GOT! The map has already received some really great feedback since being featured on Business Insider (), and has taken off on social media since we published it on the LOM site - . I've attached the map here for you to take a look. If you publish it, if you could link to lawrenceofmorocco.com as the source, that'd be great. If you need anything else, just let me know. Now is the time to work down your list and contact those third-tier sites to ask about featuring your content. They might not be the strongest sites on the web individually, but provide great value collectively. For us, this effort involved us contacting the self-proclaimed "nerd sites" (i.e., sites that cater to fans of comics, video games, and cosplay). Our third effort at outreach successfully targeted these groups. As a result, we gained links on Unreality Mag (DA of 57) and Nerdist (DA of 80), among others. Once the dust has settled and you’re sitting back all pleased with yourself, remember that there are still things you can do to make the job easier next time. Follow up with the sites that used your content to thank them for featuring it, comment on how well it did (in case they didn’t realize that themselves), and ask them if they’d be happy to receive more ideas from you in the future. One other thing you can do is to make a note in your calendar of future dates when your content may be relevant again. For us, we’re ready to go when the next Game of Thrones season approaches. That's when we’ll start reaching out to a new batch of sites, possibly with an updated map. I bought into of content marketing a long time ago, but struggled to put the recommendations I'd into practical action to gain (relatively) consistent and predictable results for a long time. Hopefully, this post will help you, too, to take the plunge and find success. Do share your own experiences and difficulties with content marketing in the comments below, along with any questions.